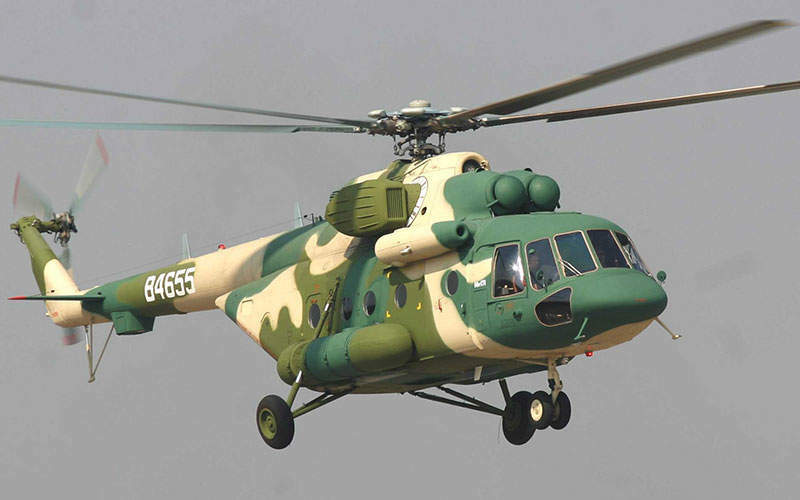 The Mi-171E is one of the latest variants of the Mi-8/17 helicopter. Image courtesy of Russian Нelicopters, JSC. Mi-171E was developed by the Mil Moscow Helicopter Plant. Image courtesy of Russian Нelicopters, JSC. The Mi-171E helicopter can carry up to 26 passengers. Image courtesy of Russian Нelicopters, JSC. The power-plant of the Mi-171E integrates two VK-2500-03 engines. Image courtesy of Russian Нelicopters, JSC. 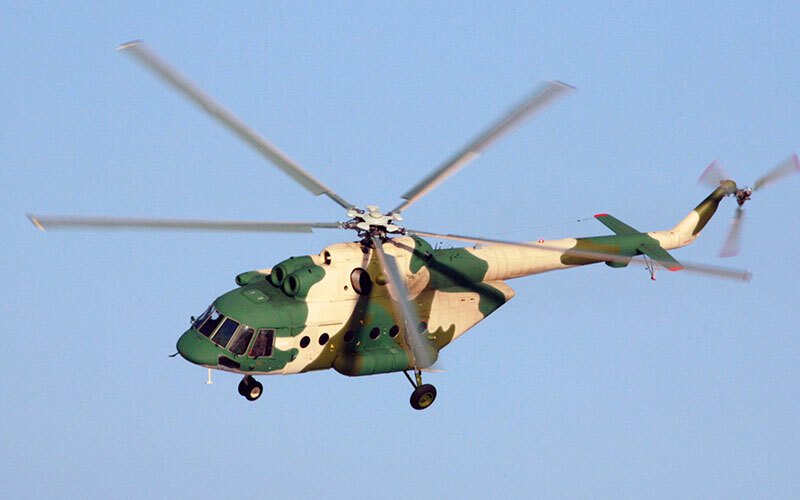 Mi-171E is an advanced, multi-purpose helicopter produced by Ulan-Ude Aviation Plant, a part of Russian Helicopters. Developed by the Mil Moscow Helicopter Plant, the helicopter is a modern export variant of the Mi-8 medium multi-mission helicopter. The Mi-171E helicopters can be deployed in search-and-rescue (SAR) missions, disaster response, forest fire-fighting and medical assistance in the field. 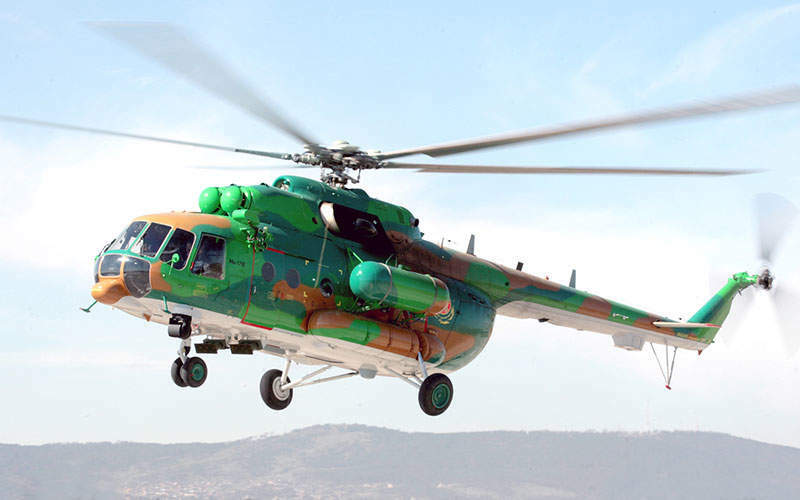 Russian Helicopters handed over a Mi-171E helicopter to the government of the Republic of Uganda in February 2016. An agreement was signed with the Kazakhstan Emergencies Ministry for the supply of a Mi-171E helicopter in May 2014. The Kazakhstan Ministry of Internal Affairs received a new Mi-171E helicopter in October 2013. The multi-purpose helicopter is intended for patrolling and SAR missions, and transporting personnel and cargo. Argentina acquired two Mi-171E helicopters from Russian Helicopters in 2011, to transport personnel and cargo to their polar stations in Antarctica and conduct SAR missions. 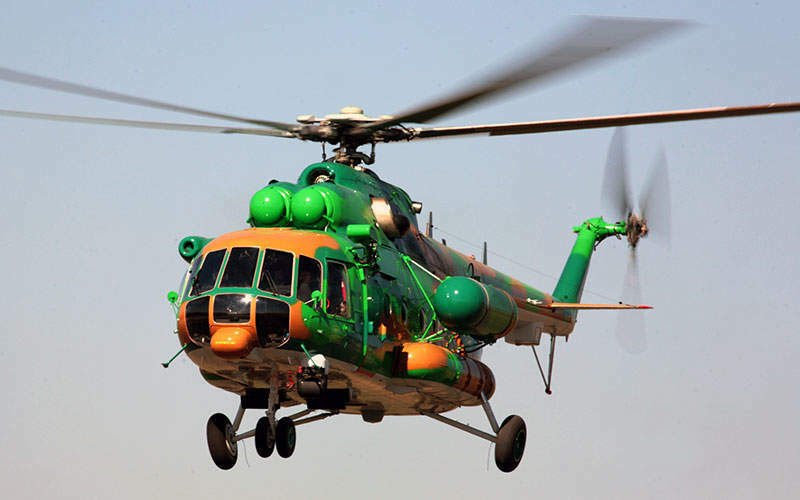 The Mi-171E also serves as the main transport helicopter for the Pakistan military forces. The Mi-171E features a metallic fuselage made of high-strength aluminium alloys. The fuselage integrates a five-bladed main rotor and a three-bladed tail rotor. The under hull is installed with a fixed try-cycle landing gear system. The helicopter is designed to fly in adverse weather conditions and is also equipped for special operations during night time. The redundant flight controls and onboard equipment make the helicopter highly-effective during missions in mountainous regions and in hot climates. The special equipment fitted to the helicopter includes search light, rappelling equipment, loudspeaker station, heli-bucket and radiolocation system. The helicopter integrates state-of-the-art flight and navigation equipment from leading Western and Russian manufacturers. The cockpit instrumentation can be altered to comply with night vision goggles for increased flight safety during night time. "The helicopter integrates state-of-the-art flight and navigation equipment from leading Western and Russian manufacturers." The helicopter is also equipped with a ground proximity warning system (GPWS), which alerts the crew of the proximity of obstacles, or ground or water in order to avoid collisions. The cabin offers an internal volume of 23m³ and integrates an optimal seating layout for carrying up to 26 passengers or it can be configured to accommodate up to 12 wounded personnel on stretchers attended by medical personnel. The cargo variant can transport up to 4,000kg of cargo inside the cabin or on external sling. The helicopter can be equipped with a new MBKhU air-conditioning system providing comfortable temperature in the cabin and flight deck. The right side of the cabin is fitted with a loading ramp and additional sliding door for easy loading/off-loading of cargo and equipment. The VIP versions are installed with soft leather-wrapped armchairs and furniture made of fine wood. The cabin also integrates an improved sound and vibration insulation, and a new multi-media system with large-sized displays and audio controls. The Mi-171E helicopter is powered by two enhanced VK-2500-03 engines. Each engine develops a take-off power of 2,400hp and contingency power of 2,700hp. The helicopter is also equipped with Safir auxiliary power plant, upgraded transmissions, and internal fuel tanks. The helicopter can fly at a maximum speed of 250km/h and has a maximum operational ceiling of 6,000m. 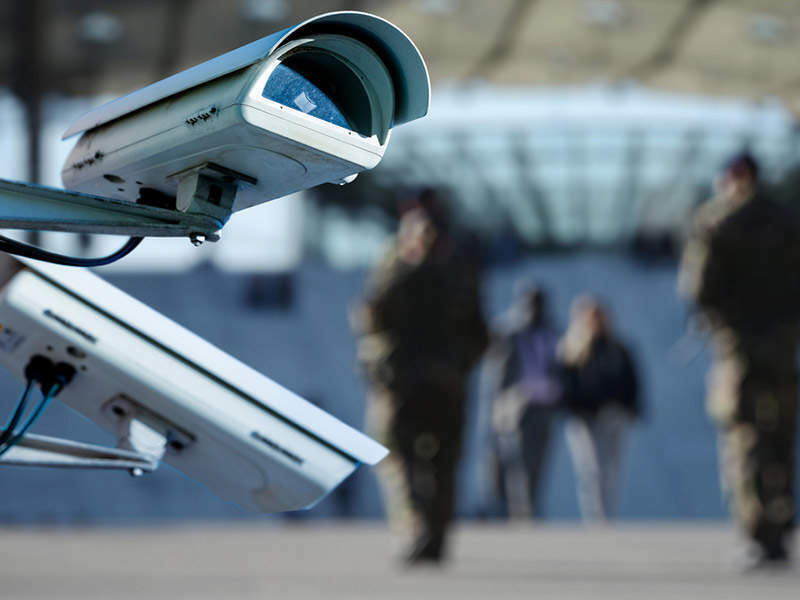 It can operate in temperatures ranging between 50°C and -50°C.